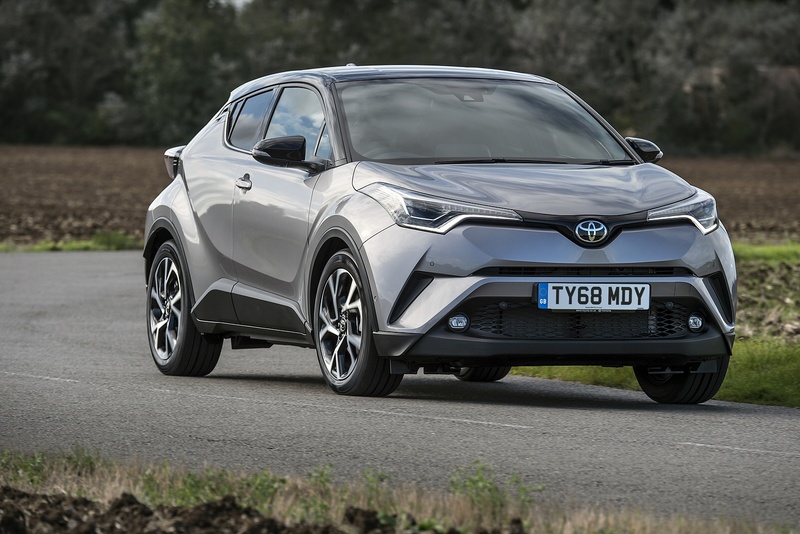 Compare brand new Toyota C-hr Hatchback lease deals! 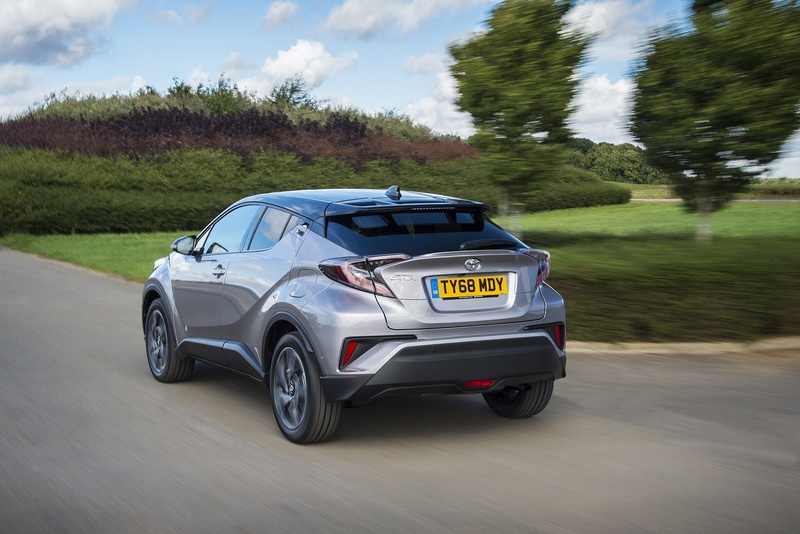 All C-hr Hatchback deals include delivery, road tax and a full manufacturer’s warranty. We collect the best Toyota leasing pricing from across the industry, saving you time and money. Select a trim below to get started. Toyota may have invented the urban SUV with the RAV4 back in the '90s but in recent years its competitors have been much faster at churning out new models in the urban SUV class. And that's why the C-HR is such a big deal. It's the spiritual successor to the car that created a bodystyle. It's the RAV4 for 2018! It even adds the ingenious Toyota Hybrid System to the mix, which is great news for the environment and for your wallet. The only missing piece is the interior practicality, which isn't quite up to scratch compared to its rivals. It’s obvious that Toyota gave its everything to make the C-HR a more interesting car from the outside and by large, it succeeded. The Japanese urban SUV looks like a sporty coupé but with higher road clearance. For some, the overall look may be a bit left field but I'm sure the younger buyers will like it because of that. For me, I find it a breath of fresh air in the urban SUV class, a car that actually turns heads on the road. As much as the exterior of the C-HR is interesting, the interior may be even more so. The design inside is driven by the big central touchscreen with sporty lines and a clear focus on attention to detail. The materials inside are also really excellent with several carefully selected textures. I also liked the diamond design theme, which can be found in a lot of the textures and detailing in the car. 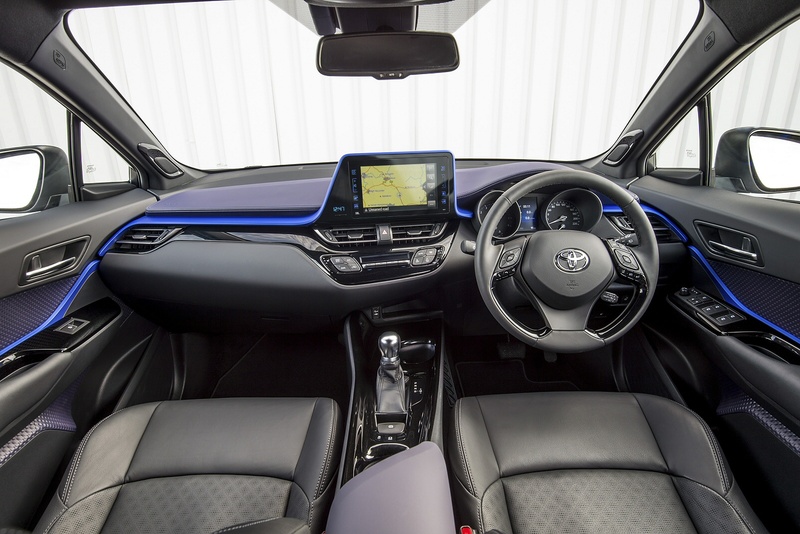 Toyota did a seriously good job on the inside! As always with Toyota, it is very easy to find a good position behind the wheel, thanks to a lot of adjustment of the driver’s seat and the steering wheel. The controls are well laid out and easy to use. The same can be said for the 8-inch Toyota Touch 2 touchscreen infotainment systems user interface. The upgraded Toyota Touch 2 with Go is an even better option. It comes with internet connectivity (via your smartphone) and apps like TomTom navigation with real-time traffic information and Google Street View. However, MirrorLink, Android Auto and Apple CarPlay are nowhere to be found, which is a shame, especially since Toyota is targeting a younger demographic. One of the only real problems with C-HR is visibility. You can just about see out the front but the back view is blocked by pillars and limited by dinky windows. When parking, you’ll have the help of a rear reversing camera but that doesn't help you when you're pulling out of a junction. 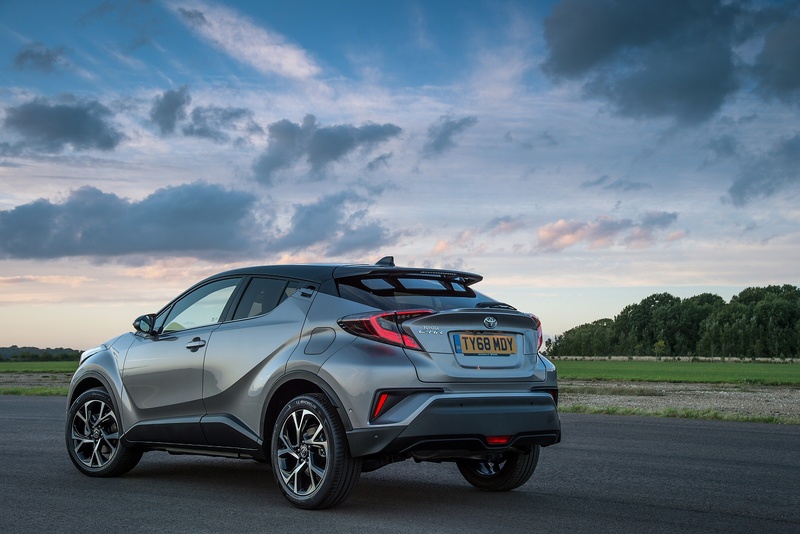 The C-HR is based on the entirely new TNGA platform and is only the second car in Europe after the Prius to use it. Toyota claims the new platform will bring much better driving dynamics to its cars. And it does! This is by far the best Toyota to drive, barring the GT86, which is, after all, a sports car. 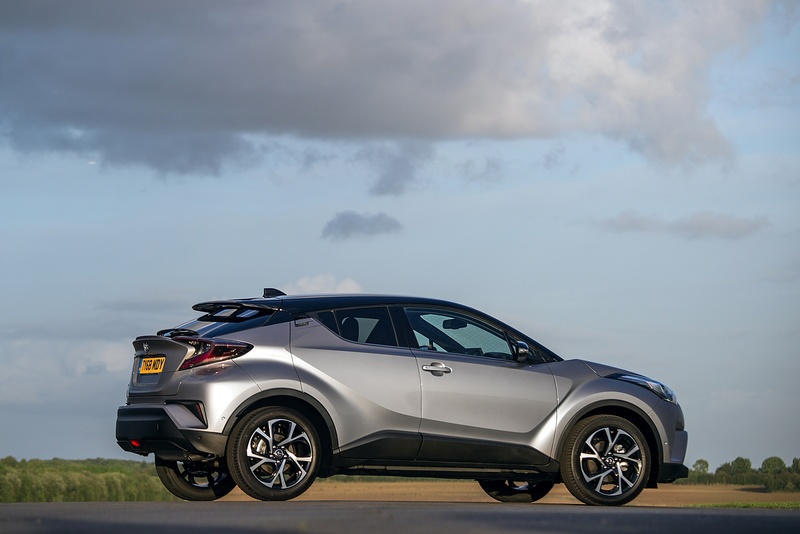 The C-HR has precise steering, an agile chassis and impressive grip. The engines are maybe a little on the weak side. Neither the 1.2-litre turbo petrol nor the 1.8-litre hybrid will set the track on fire but they'll cope with motorway driving. Toyota has already promised a hotter Hybrid variant though so we'll keep an eye out for that. The ride in the C-HR is one of the comfiest in class, which is surprising considering the great driving dynamics. It soaks up the bumps with ease and keeps the body from rolling too much in the bends. It’s a really great car to drive and be driven in. It may not look like it from the outside, but the C-HR is a big car. It's almost the size of Nissan Qashqai! The interior, though, is not. 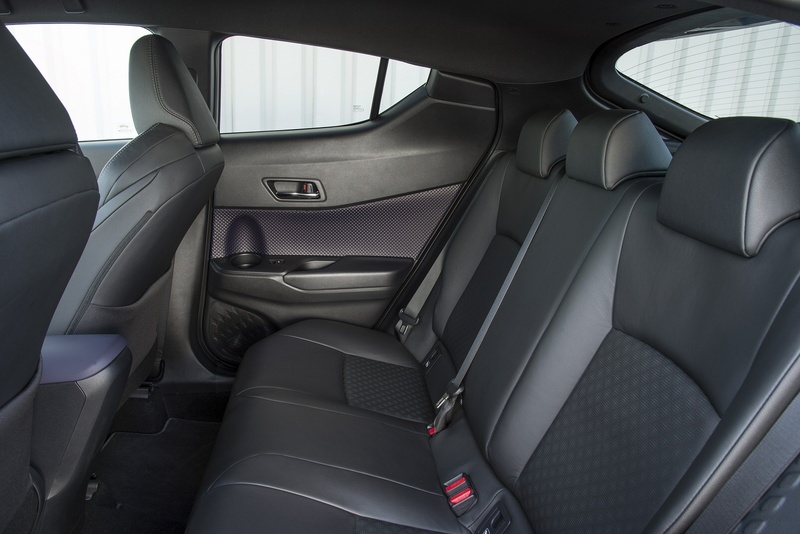 The front seats are comfortable enough, even for taller drivers, but the back doesn’t provide enough headroom for taller passengers. That said, legroom is actually fairly decent. The boot size of the C-HR is another letdown with only 377 litres, which is less than almost every rival. It also has a fairly large load lip, which makes loading bulky items a real pain. 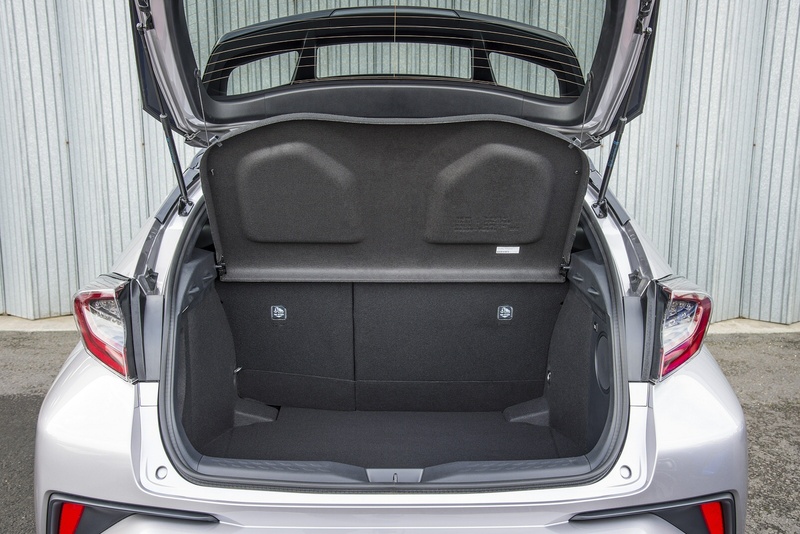 Combine that with a rear bench that doesn't lie flat and you've got a boot space that's not actually massively useable. 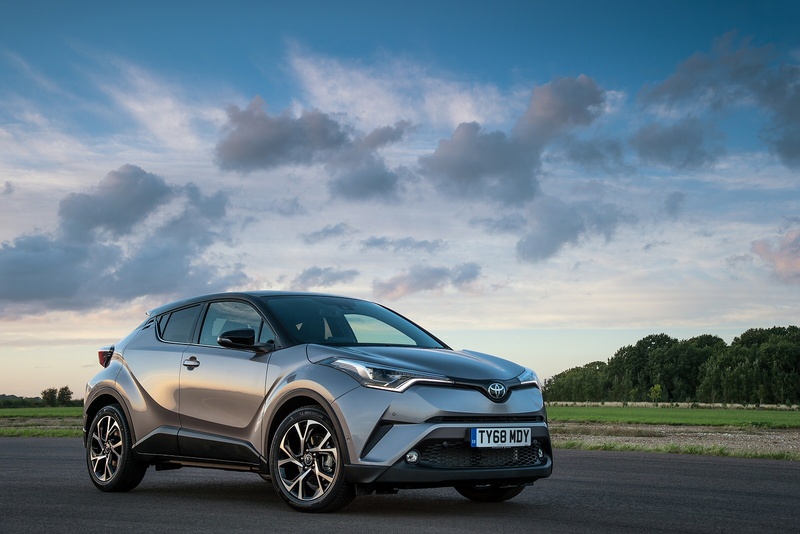 Toyota C-HR is available with only two engines: a 1.2-litre petrol turbo with 6-speed manual or CVT auto and the 1.8-litre hybrid with e-CVT automatic gearbox. The Hybrid is of course much more economical with fuel consumption of almost 70 mpg in the city and CO2 emission of only 86 g/km. The petrol engine is better to drive but only manages around 41 mpg with the manual gearbox. The turbo petrol is also available with AWD as well but only with the CVT gearbox. There is no diesel option in the C-HR and we can’t blame Toyota for that. The hybrid offers a super efficient option for those frugal motorists. 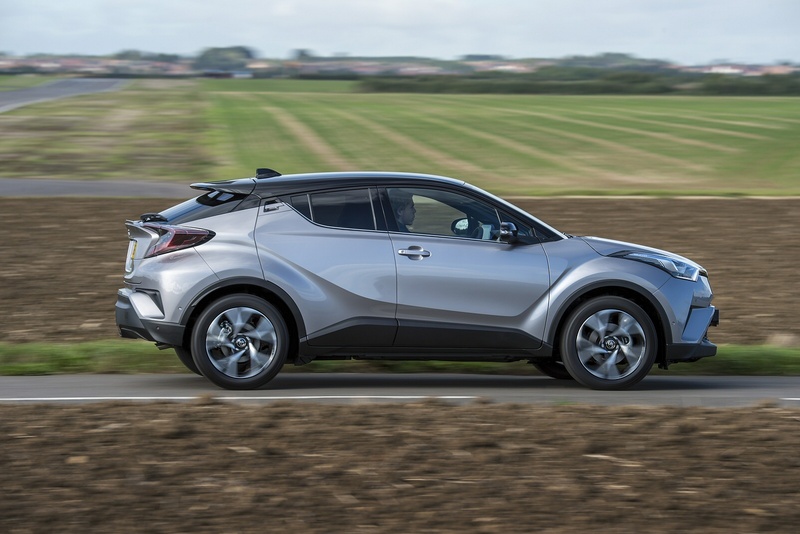 The C-HR is geared toward the style conscious buyers and that shows in the equipment levels. Even the base Icon model has dual-zone air conditioning, stylish 17-inch alloy wheels, rain sensing wipers and the Touch 2 infotainment system. If you don’t need the sat-nav on the higher spec models, I'd be happy recommending the entry-level trim as the fancier alternatives don't add a whole lot. The higher end Excel model add partially leather seats with heaters, keyless entry, parking sensors, 18-inch alloys and driver assistance features, which are always welcome for added peace of mind. The most expensive Dynamic trim adds a black roof and some additional features inside, but, personally, I don’t think it’s worth the extra money.